The EVP of French Services will serve in a dual role until Heather Conway's successor is named. With Heather Conway’s departure imminent, the pubcaster has selected Michel Bissonnette as interim EVP of CBC. As the current EVP of French Services, Bissonnette will serve in a dual role until Conway’s successor is named. Conway’s departure as EVP of CBC was announced in November. Bissonnette currently oversees all French-language programming for Radio-Canada including ICI Radio-Canada Tele and ICI Tou.TV. Most recently, the exec helped execute Radio-Canada’s deals with Quebec industry players like Bell Media (Canal Vie, Canal D, Z and VRAK), Groupe V Média (V), TV5 Québec Canada (TV5 and Unis TV) and the NFB, to bolster content on ICI Tou.TV Extra. 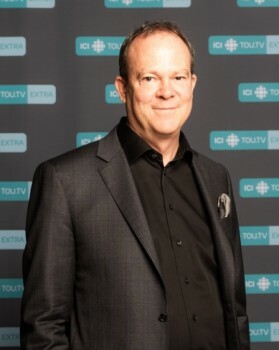 Before joining the CBC, Bissonnette was president and exec producer of Montreal’s Zone3, a company he co-founded with three other partners in May 2000. Prior to this, he served as an exec at Motion International, Videotron and TVA. Bissonnette has been in his current role with CBC since January 2017.